Guitarist, singer, and songwriter Mary Flower is that rare breed of American roots artist. Flower is fluent and masterful in the artistically tricky Piedmont style of acoustic guitar that requires a deft touch, intricate picking, and an innate sense of subtle harmonics wrapped in a rousing good time. Yet she is equally rooted and schooled in Mississippi blues, especially when rendered on a vintage lap-slide. Add to this her love of swing, ragtime, folk, and hot jazz, plus a healthy dose of her own song craft, and you have a modern artist with an ear for the traditional who brings an immediate vibrancy and dynamism to any concert hall and stage performance. 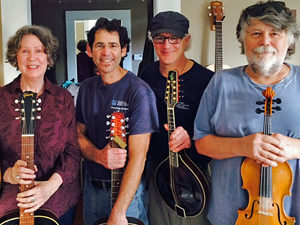 The BBQ Boys are a four-piece jazz, blues, and jug band that has performed with many well-known artists such as Jim Kweskin, Geoff Muldaur, Maria Muldaur, John Sebastian, David Grisman, and Dan Hicks. The band consists of Stew Dodge on fiddle and vocal, Spud Siegel on mandolin, mandola and vocals, Doc Stein on dobro, guitar and vocals, and Mark Vehrencamp on sousaphone. In 2013 they joined forces with Mary Flower as a jazz and blues infected jug band (sans jug) and have created new masterpieces of old standbys and originals by Mary and Spud, adding rich harmonies and searing solos. 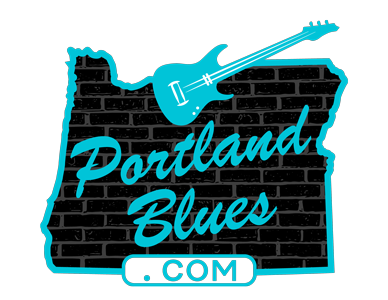 Mary Flower and The BBQ Boys will be performing on Monday, February 6 at The Lake Theater & Café in Lake Oswego. Located at 106 N State Street, the show will start at 7:00 pm. Tickets can be purchased at the door or in advance at Laketheatercafe.com for $15.00.